I joined Collins House in July 2015 as a trainee dental nurse. 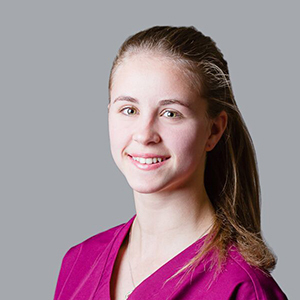 In conjunction with my role in the practice I am studying towards a Level 3 Diploma in Dental Nursing. I am very much enjoying my chosen career so far and am looking forward to building on my knowledge and experience in the coming months. In my spare time I enjoy travelling and participating in outdoor sports and activities.